We all recognise the importance of great leadership. But not everyone agrees exactly what it is, and fewer still can say how it should be measured. Recent conversations have got me thinking about this; this blog may not be rocket science but I hope it clarifies a few basics at least. First, leadership is a means to an end rather than an end in itself. It’s what drives the organisation (or community, or situation) and causes or inspires other things to happen, which in turn produce desired outcomes. 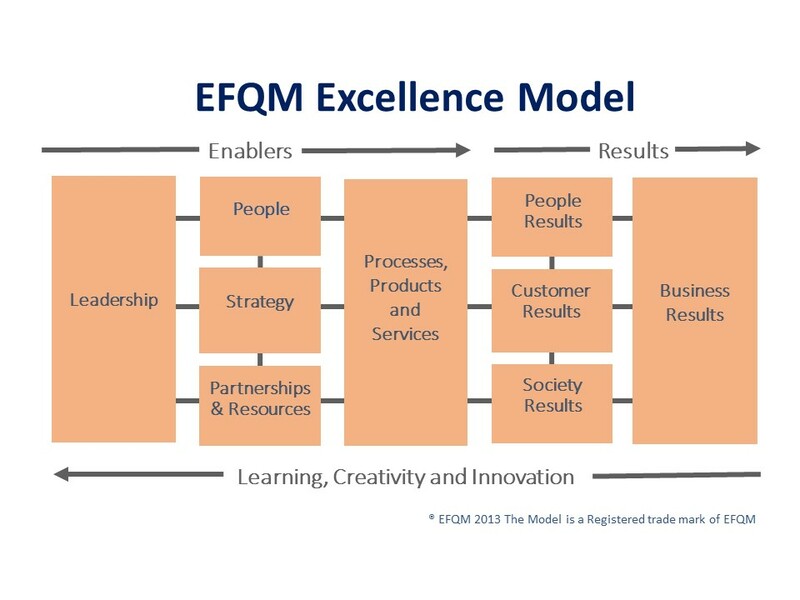 This is well depicted by the classic nine-box EFQM Excellence Model: leadership is the fundamental ‘enabler’, but is some way from the end results the organisation achieves. This is one reason why leadership is so hard to measure: it’s extremely difficult to isolate the effects of better leadership from everything else going on around it. This also makes leadership context-specific. The Duke of Wellington may have been a great military leader but could he run a modern local authority Children’s Services department? Well maybe, but I wouldn’t bet on it. (Actually, many people reckon he did a pretty poor job later as Prime Minister!). 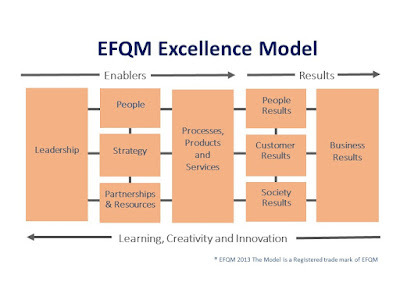 So there’s a need to identify what each organisation or entity needs from its leaders. Some aspects (vision, inspiration) will be common to many situations; others (passion, empathy) may be more relevant to some than others. This issue is one of the most challenging for any organisation to understand: what qualities do we need from our leaders to inspire and achieve success for our particular organisation or community? This also highlights a difference between individual and organisational leadership. An organisation with great individual leaders may have great leadership as a whole, but only if those leaders work successfully together and complement each other’s strengths. And great organisational leadership also implies some sustainability in the system – in other words the whole thing shouldn’t collapse when a single individual leaves. So evaluating leadership for organisations isn’t the same as doing so for individuals. Finally, it’s important to distinguish what we’re evaluating from how. The ‘what’ is the characteristics we seek from leaders (e.g. competencies, behaviours); the ‘how’ is the method through which these are assessed (appraisal, self-assessment, 360o feedback). The first of these derives from understanding leaders’ roles, the second needs the insight to recognise which review methods work best in any given situation. All this explains why there’s such a wealth of literature, tools and ideas around leadership and its evaluation. There’s no absolute answer, no universal way to evaluate leadership for every situation. 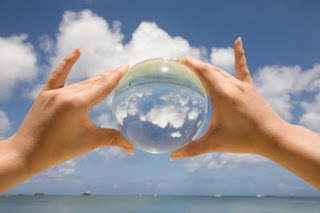 Organisations (of all kinds) need to understand themselves first – their purpose, culture, values and success criteria. Only then can they understand what good leadership means for them and how to assess it – what the question actually is. Without that insight, as the well-known quote goes, “the answer is 42”.